sells amazing new-to-you used goods at prices that everyone can easily afford! The Vision…Quality Goods at Affordable Prices! The Vision – Quality Goods At Affordable Prices! Whether you have never thrift shopped for bargains before or you will be visiting our store again, you are in for an adventure! 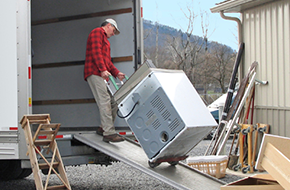 Highlands Thrift Store in Abingdon, VA is a ministry of Highland Fellowship Church, and we strive to bring affordable used goods to all people in the area. One of the things that we enjoy the most about our store is that we never know from day to day what will be donated! Running our store is as much of an adventure for us as shopping in it is for you. From brand new items with tags attached to the most unique, well-loved estate items, we have it all. 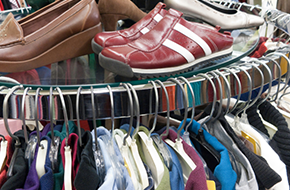 No shopping experience at Highlands Thrift Store is the same! When you are looking for a thrift shop or consignment store, look no further than our front doors! Our vision is to provide quality goods at affordable prices! We may be a second hand store, but that does not mean that we sell goods that you will not be proud to own. Why spend big money at a department store when you can find something to love at prices that are simply amazing? We continue to grow to address the needs of the community, region, and the world! We are absolutely certain that we have something contained within our walls that you will love. When you are ready for your adventure to begin, visit Highlands Thrift Store of Abingdon, VA! We are ready to welcome you today!